I had the honor of being one of a handful of entrepreneurs who received a sneak preview into Jessie’s works almost two years ago and I was smitten from the first moment. Jesse’s innate gifts for healing weaves so perfectly with her brilliant intellect and powerful gifts for guiding women to whole wellness. Since that first encounter all those many months ago Jesse and I have had the chance to journey together in a myriad of ways and my admiration and appreciate for her work and way in the world just continues to expand with every encounter. I am so honored to share her insights with you all here. 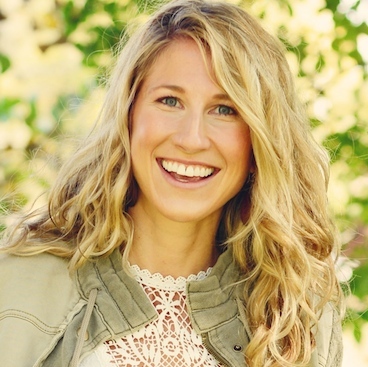 Jesse is a unique light in the healing world today – she is a rising star not to be missed. Lindsay and Jessie Talk about Nourishing your way to Whole Wellness. Hello! My name is Jessie Kuehn and I am so happy to be here! 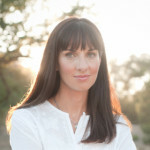 I am a Certified Master Nutrition Therapist and Eating Psychology Coach and I specialize in working with women with hormonal imbalances and fatigue, as well as those who struggle with compulsive overeating and chronic dieting. My health struggles began around the age of 17 When my dad was diagnosed very suddenly, at the age of 48, with terminal brain cancer. In the years that followed, I fought for the illusion of control, oscillating between restrictive dieting and overexercising and compulsive overeating. Over time these behavioral extremes wreaked havoc on my internal balance. I developed severe depression and anxiety, struggled with acne, excess weight, severe hormonal imbalances, and debilitating fatigue. I dedicated my life to the study of healing in order to help women like myself finally find the hormonal balance and freedom around food that we all deserve. I travelled around Central and South America, learning from traditional healers and studying the various systems of healing. I earned a degree in nutritional anthropology from the University of Wisconsin. After graduating I trained with an acupuncturist from China learning Chinese herbal preparation and healing modalities like cupping, gua sha, and moxibustion. And then in the several years that followed I completed formal trainings in body work, Yoga, Eating Psychology, and Clinical Nutrition. I love to pull from all of these healing modalities in my work with clients creating a multidimensional approach that addresses body and soul. I created Radiant Roots Nutrition in 2012. I was passionate about creating a business that honored the body’s innate healing potential. I had just completed a very intensive two year program in nutrition therapy, and I saw how, in many ways, we are using natural therapies and supplements through the same allopathic medicine paradigm of healing. I was determined to create a practice that truly addressed wellness at the root rather than treating the symptoms in a scattered approach that emphasized fixing over supporting the body. The women that I see with health and eating struggles are some of the most intelligent, incredible women I have ever met. It is so important to me that they have the tools to balance their health with ease in order to feel truly vibrant so that they can use their energy and gifts to be in service in the world. I believe that as women, we need an approach to wellness that incorporates the healing power of the feminine with nature, rhythm, ritual, and body-connection. In letting go of rigid, perfection-seeking approaches, our relationship with nourishment and self care actually becomes the doorway to an experience of even more joy, ease, and freedom. When we feel healthy, vibrant, and plugged in to body wisdom we are empowered to serve the planet and others from a place of love and embodied action. We embrace the inherent perfection in the unfolding journey with trust and ease rather than bracing against it with our ideas of how things should be. When I was 17, my dad was diagnosed very suddenly with a terminal brain tumor. He died three months later and I dealt with the feelings the only way I knew how – through numbing the body with over exercising and binge eating. One year later I was diagnosed with Polycystic Ovarian Syndrome, severe depression and anxiety. I used one masculine, rigid healing method after another. That year, while living down in South America, I met a healer that would transform the way I viewed wellness. She taught me the importance of embracing the feminine and stepping into a gentle and loving approach to heal the body. I realized that we can’t bring the feminine into balance through a masculine healing paradigm. I stay healthy, resilient and vibrant by keeping my commitment each day to my three rituals: movement, meditation, and mindful eating. These invite me back into a conversation with my body and allow me to act from a place of feeling rather than thought. I eat a whole foods diet filled with fresh, life-force rich vegetables and use healing herbal teas and tinctures, essential oils, and flower essences to bring my body-mind-soul back into balance. I also get as much fresh air, sunshine, nature, love, and laughter in my day as possible! Oh that’s a tough one but I believe it would be movement in nature. I believe so powerfully in linking breath, body, and heart everyday through some form of enjoyable movement in nature. Whether its taking a walk in the woods or on the beach, going for a playful cruiser bike ride around a lake, dancing or practicing yoga in the sunshine in your backyard. It’s like hitting the reset button for the body, mind, and soul. The natural elements are just so incredibly healing. When we can open our bodies, hearts, and minds in order to receive the replenishing energies all around us, magical healing can take place. For people low on time or energy, I often have them start the day with a very slow, mindful walking meditation outside in the fresh air or a slow, sensual yoga and organic movement practice on the dewy grass. I am a Certified Master Nutrition Therapist, Mind-Body Psychology Coach, Bodyworker and Yoga Teacher. A tree hugger and lover of all things nature-inspired: flower essences, essential oils, herbal elixirs and teas, and whole food delights. I believe that magic happens when we simplify and root down into body wisdom and earth medicine.